iD Tech, a leader tech camp and STEM education in the US, has partnered with GEMS Education to bring summer technology camps to GEMS Nations Academy in 2017. "We are excited to be working with GEMS Education to bring almost two decades of technology education experience and the spirit of Silicon Valley to Dubai," says Joy Meserve, chief program officer of iD Tech. "While visiting GEMS schools, I got to spend some time getting to know a number of students. Seeing their enthusiasm for technology and passion for learning, I knew iD Tech and GEMS Nations Academy were a perfect fit." The GEMS Nations Academy campus goes beyond state-of-the-art and provides a stimulating environment for students to be immersed in coding, robotics, and extend their digital fluency skillsets. The approach at Nations is about transforming learning and ensuring that students are future-ready, adaptable, and forward-thinking. Mick Gernon, senior vice president and global head of innovation, is spearheading the strategy. "Our partnership with iD Tech will be groundbreaking. Having seen the camps in operation and understanding their unique approaches to advanced teaching and learning in key STEM areas, this is a tremendous opportunity to bring the very best from the US and further develop it within GEMS schools," said Gernon. 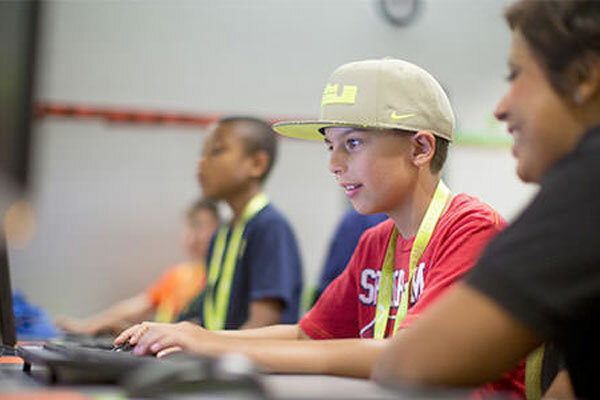 "Whilst there are a plethora of STEM providers, iD Tech represents the pinnacle and provides world-class approaches to coding, game design and robotics. We are delighted to partner with them and bring forward a genuinely innovative camp programme and studio labs based at Nations Academy."